Toptal supports developer communities all over the world and is proud to partner with UFACoder for their next event. UFACoder is a community of programmers, designers, team leaders, and others who are involved with the IT sphere in the city of Ufa. Their next meetup will take place on September 29th at the conference hall of the Academy of Sciences of Bashkortostan Republic. 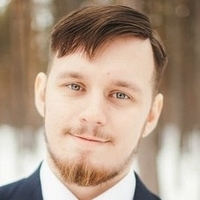 8:00 PM Aleksandr Aibulatov, Toptal: “The Subjective Comparison of Upwork and Toptal”. For more information, please see UFACoder’s website or contact Alexander Aibulatov. Your message to Aleksandr was sent.